Join us in the resplendent beauty of Tuscany for five days of floral arranging and revelry, with excursions to wineries, the Medici Gardens and more. Nicolette & Gabriela will guide students in their garden inspired floral design techniques amidst the beautiful Tuscan landscape. We will indulge and immerse ourselves in the very best Italy's flowers, food, gardens and wine. This all inclusive workshop is designed to give students a truly immersive creative experience as well as practical hands-on lessons amidst the gorgeous Tuscan backdrop. 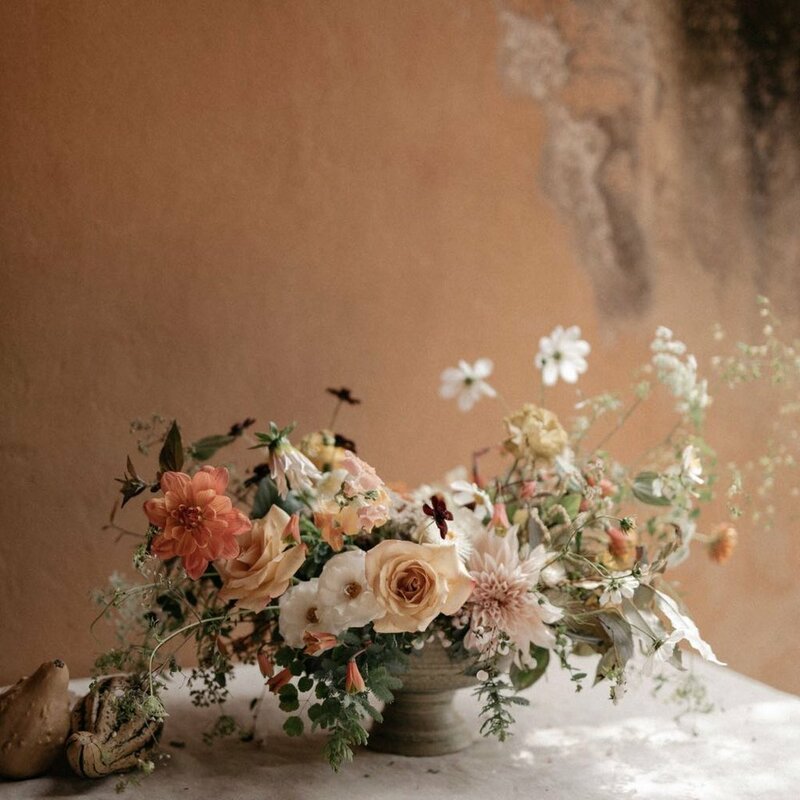 Using the finest flowers Spring has to offer, Nicolette & Gabriela will guide students through their individual approaches to floral design with an emphasis on working with color, seasonality, and the mechanics involved in creating lush, rambling arrangements & bouquets. We'll spend time discussing sourcing, growing and conditioning flowers. The workshop will begin May 14th with a celebratory welcome dinner. 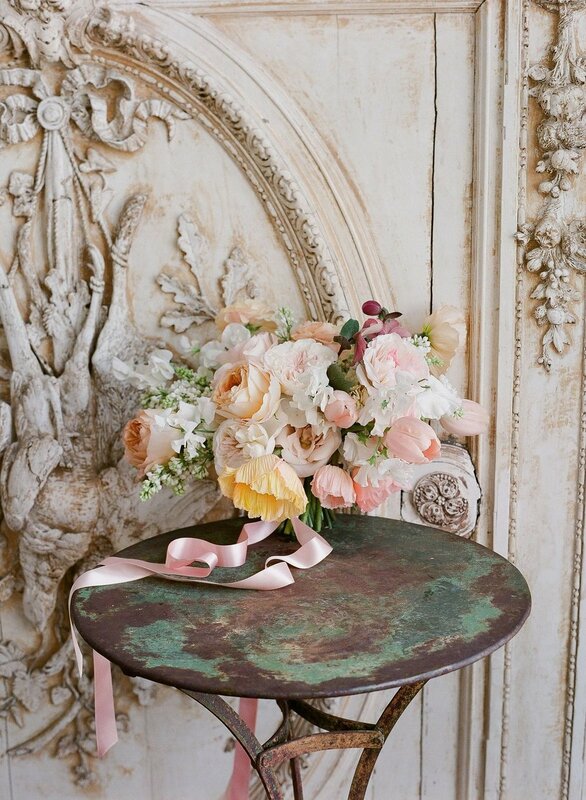 In the days that follow we will delve into our floral practice. We’ll demonstrate our loose, romantic and unstructured approach to making elegant centerpieces in a shallow compote without the use of foam. Students will spend the mornings & afternoons creating & styling centerpiece & tablescapes, larger scale arrangements and lush, loose bridal bouquets. We are thrilled to have the ultra-talented fine art photographer, Corbin Gurkin with us to capture all of the students creations for their portfolios. Corbin will share her tips on photographing flowers and capturing that perfect light that we always covet. 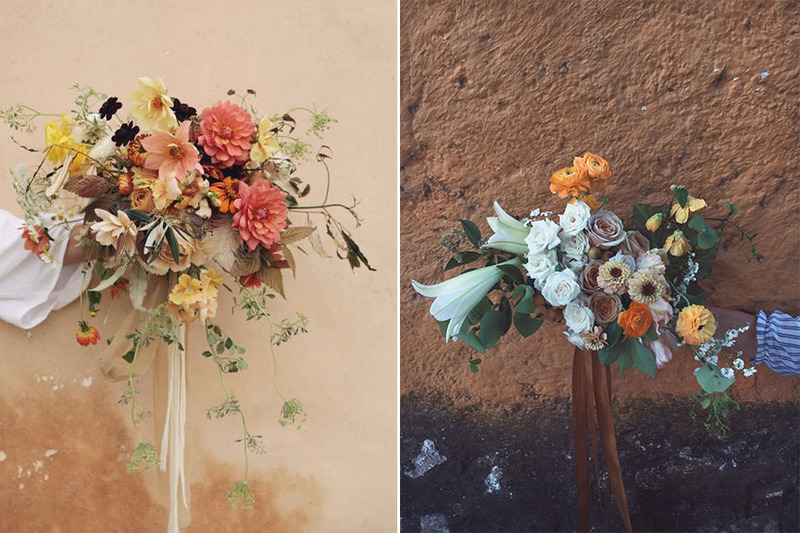 On the final day of lessons, we will focus on creating overflowing, feminine bridal bouquets that we will style and photograph with our 'bride' in the beautiful Villa di Medici gardens. At their respective studios Nicolette & Gabriela have created florals for hundreds of weddings, events and photo-shoots. In this advanced level workshop, they will share their arranging methods, sourcing and tips for navigating the industry and remaining true to your artistic vision. This intensive workshop is suitable for both established and aspiring florists; specifically those seeking to advance their own floral work within the realm of weddings, styling and large-scale event production. We envision this workshop true immersion in all things beautiful. We will be staying at the beautiful Settignano Luxury Homes retreats in the hills of Florence. Experience breathtaking views of the Duomo while capturing the last sun light and exploring the art of slow living by choosing to share plenty of home made food inspired by our vegetable garden. There are eight rooms, each bedrooms has its own en- suite bathroom, and a lovely swimming pool surrounded by olive groves. We have 4 twin rooms and 4 double rooms for couples or friends traveling together. All expenses are paid in advance and are included in the cost of the workshop, except for airfare and getting yourself to and from the event. While you're with us every meal, activity, transportation, and accommodation is taken care of. We will plan every detail; all guests need to do is show up and immerse themselves in this thoughtfully curated experience. Guests are responsible for any extra alcohol or personal shopping they might want. Any room with a single use has an extra charge of $60 per night. All meals, lodging and transportation to our daily destinations are included in the cost of this class. There is an extra charge of $60 per day for single occupancy rooms. All flowers, clippers, vases, ribbons and professional photography of your work is included. We will focus on creating table arrangements, larger scale arrangements and bridal bouquets, boutonnieres and other wedding details. Instruction on the basics of styling for photography with shooting tips from Corbin Gurkin on capturing the most beautiful images. Not included: Airfare and travel to and from Settignano Luxury Homes. Additional alcohol or personal shopping items. We have a 5 student minimum to move forward with this class. Please note: Little Flower School has a strict no refund, no credit, no transfer policy. If you would like to read more about this policy, click here.